In the last few weeks Isla's fixation with Balamory has transferred to Peppa Pig - I breathed a sigh of relief - there was only so much of Miss Hooley I could take! Because the episodes are so short when the credits go up she gets all disappointed and then suddenly happy again when she sees Peppa has come back on. 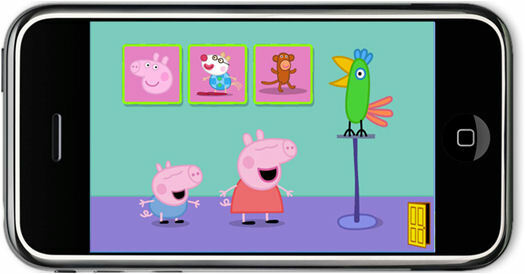 I enjoy Peppa Pig too, mostly laughing at Daddy Pig. 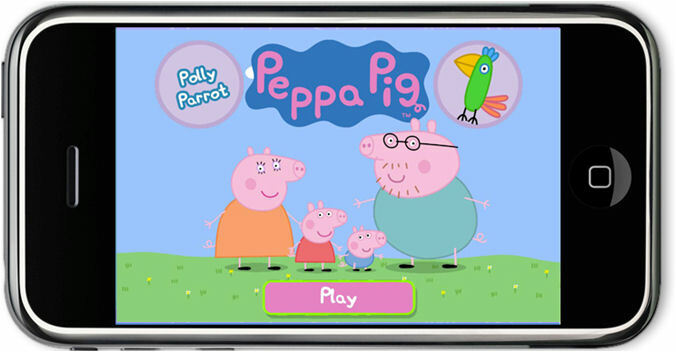 When the opportunity came up to review a new Peppa Pig iPhone app I jumped at the chance as I could see that it would be a good distraction for Isla. There are 3 Polly Parrot games where you can win stickers depicting the characters and then for the last part of the app there are lots of different backgrounds where you can use your stickers to make up pictures. The games are:'Feed Parrot', which is Isla's favourite, where Polly Parrot is hungry and you have to feed the amount of crackers she asks for - it really helps with counting, which at 19 months I thought Isla would be too young for but she is already saying some numbers in order which I find amazing! There is also 'Find Polly', where Polly Parrot flies around the house and you have to find her behind furniture, in the trees etc and then 'Talking Parrot', where you can make Polly say silly things. 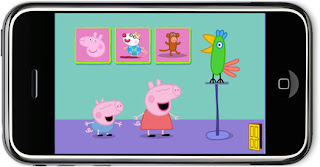 The more you play the games the more stickers you can build up to use in the sticker part of the app and this is also a favourite of Isla's, she likes dragging the characters all around the screen. 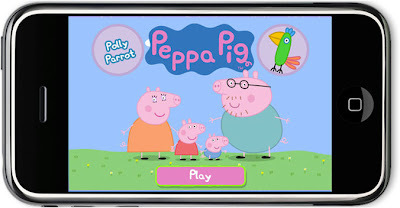 This is a sponsored post, we received the Polly Parrot app at no cost in order to review it.